What if the Home does not Meet FHA Minimum Property Standards (MPS) and Selling As-Is? Recently I was asked what happens when a property is being sold as-is, and the seller will not do repairs – but the home doesn’t meet FHA minimum property standards (MPS). How does the buyer qualify for an FHA loan? It’s a great question and a situation that happens quite often. First, let me say that the seller is limiting his or her buyer pool significantly by not being open to make repairs. Unless the buyer pays cash, there will probably be issues getting any kind of financing if the property deficiencies are major. But because sellers often don’t want to put another penny into the home, I’ll address various options on how to handle the situation. 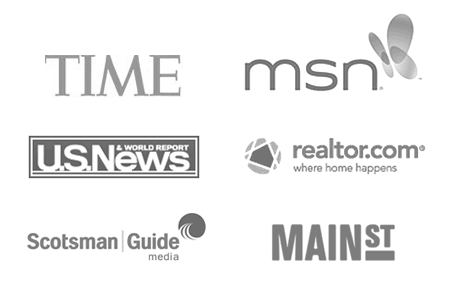 Get a personalized FHA rate quote. 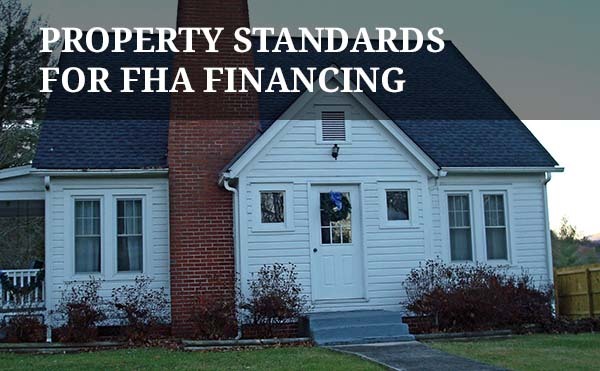 Appraisers that are approved to appraise for FHA financing know the FHA MPS requirements. When they see something that doesn’t meet FHA guidelines, they note it in the appraisal. Until the issue is resolved, the lender won’t issue a final approval for the loan. But sometimes, the FHA underwriter – the one who verifies compliance with FHA standards for the lender – will notice something in the appraisal pictures and call for it to be fixed. Examples are peeling paint or a questionable roof. Either way, someone has to fix the issues or there will be no FHA loan. I know I just said the seller won’t make repairs. But sometimes they will come around if the repairs are inexpensive or if they can do it themselves. For instance, if chipping paint is the issue, the seller shouldn’t have any problem scraping the affected area and spending $50 on paint. It’s cheap and easy. Give the real estate agents a copy of the appraisal so they can see the issues first hand. The listing agent might just convince the seller to get ‘er done. Click here to see if the home you’re interested in is eligible for FHA financing. The real estate agents have a lot to lose if the transaction doesn’t close – often 3% of the purchase price. For this reason, I’ve witnessed agents coming together to throw a few hundred or even a few thousand dollars at the problem to get the repairs done. This remedy is not ideal, because what if the transaction does not close? The agents have spent their own money and gained nothing. In other words, don’t bank on the agents paying to make repairs, but it can happen. Again, this is not an ideal way to handle the problem. You could spend a lot of money and effort, then the sale could fall through. But I have seen buyers pay for minor repairs just to get the house eligible for financing, and it has worked. Just take caution with this approach. If you as the buyer are a licensed contractor, you may even be able to do some repairs yourself. It goes without saying that you need to clear it with both agents and the seller before you try to gain access to the home or make any repairs to the home! When buying a foreclosure or real estate owned (REO) home, the seller is often a bank who will not make repairs or grant access to the home. In this case, there is often no way to make repairs. You may have to switch to a 5% down conforming conventional loan which has less stringent property requirements than FHA. But if the problems are major, chances are the lender will still require the repairs. Check today’s conventional loan rates. Some lenders will allow what’s called a repair escrow. Here’s how it works. The lender gets a licensed contractor’s bid for all the needed work. The lender adds the money for repairs plus any overruns into your closing costs. The lender will put that money in an escrow account to pay the contractor for the repair work after closing. The home is repaired to the lender’s satisfaction, and no work needs to be done prior to closing. Keep in mind that not all lenders will do a loan with a repair escrow, and repair costs usually can’t go much above $1,000. Check with my network of lenders to see if they can open a repair escrow loan for you. Hands down, the best program to buy a home and make repairs is the FHA 203k loan. You get bids for the repair work and the repairs are made after closing. What’s best is that you end up with one FHA loan with a low mortgage rate. You can even do cosmetic fixes with this loan, at the same time that you are bringing the home up to FHA minimum standards. You can do up to about $31,000 in repair work with this great loan program. Check FHA 203k rates and see if you qualify. If you’ve attempted all the above solutions and nothing has worked, it may be time to look at other homes. You can most likely withdraw your agreement to buy the home. Purchase agreements typically allow for the buyer to back out due to property deficiencies without losing their earnest money. The FHA minimum property standards are there for a reason: to keep you from buying a lemon. The FHA loan was created to provide safe and long term housing for home buyers, not to put you into a home that will regret buying. Check FHA rates and find out if you qualify for a 3.5% down FHA loan.